12:25 AM Goodnight world....off to bed. JoeSettler might updates this a bit later tonight, otherwise I'll be back in the morning. A Quiet Night to Israel's South! I think Hamas just dropped leaflets in my neighborhood warning me of incoming rockets. Oh wait, no they didn't. The U.S. Embassy will be operating at reduced staffing levels on Monday, November 19, and routine consular services are being suspended for that same day. Embassy families have been instructed to keep their children home from schools in areas south of Herzeliya. Embassy personnel from Beer Sheva have temporarily been relocated to Herzeliya. Non-essential official travel by Embassy staff to the south of Israel remains prohibited. 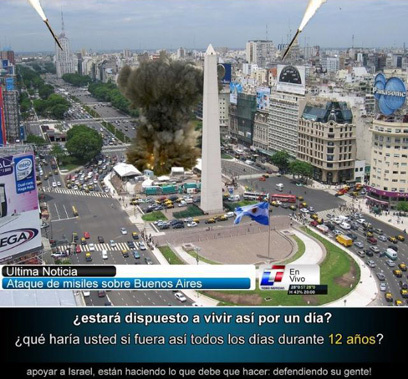 11:13 PM Despite the direct hits from the previous rocket barrage attack, no reported injuries! 11:04 PM At least 2 Grad rockets intercepted by Iron Dome....searches still ongoing. 11:02 PM Waiting for results of the rocket barrage from a few minutes ago....till then, a personal message, subtitled into English, the IDF Soldiers operating the Iron Dome system. 9:03 PM In response to increasing tensions in the Middle East, New York police increase security on Synagogues in the city. 8:50 PM El-Al giving major discounts to Israelis overseas who receive emergency call up orders. 7:25 PM Iron Dome systems knock down missiles over Gush Dan/Tel Aviv area. Sirens send residents running to shelters. 6:12 PM Ben Gurion university in Be'er Sheva will remain closed tomorrow. 6:10 PM IDF has hit 50 terror infrastructure spots in the Gaza strip today. Important Message for Residents of the South in Apartment Buildings: Leave the front door of your buildings OPEN so that during an Air-Raid siren, other people can access your building's bomb shelter (or stairwell). Additionally, when driving and you hear an Air Raid siren via the radio, pull over, stop, get out of the car, lie down with your hands shielding your head. 5:35PM Unexploded GRAD rocket removed safely from roof of house in Ashdod. 5:30 PM Parks department opens all national parks to residents of the south for free. 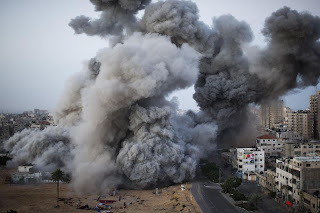 5:29 PM IDF Artillery begins to shell strategic sites in Gaza. 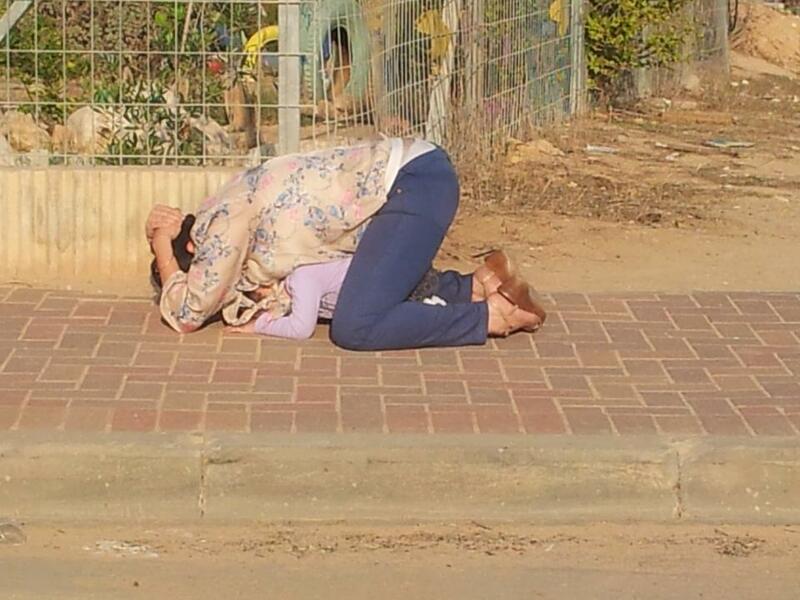 5:28 PM 5 rockets land in town in Sha'ar HaNegev, no report of injuries. 5:20 PM Sirens going off in S'dot Negev and Sha'ar HaNegev. 10 rockets fall in Eshkol region. No injuries. 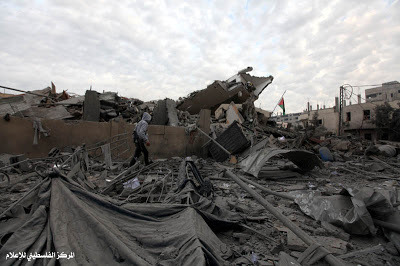 IAF Forces knock out antennae in Gaza. Soldiers called up and moved to southern region stand in prayer as the day breaks. Iron Dome system knocks out two rockets fired at Israel. 5:00 PM Air raid siren in S'dot Negev. 4:56 PM 4 rockets land in Eshkol region, no reports of injuries. 4:46 PM Once more, Israeli press talking about representatives going to Cairo to discuss a cease fire. 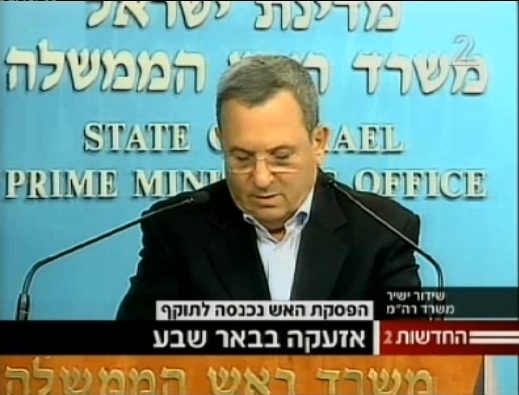 UPDATE: Both Defense Min Barak and Foreign Min Leiberman say there will be no talking while rockets falling. 4:44 PM Rockets fired at S'derot and Sha'ar HaNegev. 4:29 PM Preliminary reports: 4 wounded, one seriously, one moderately in the Ofakim region. UPDATE: 2 seriously wounded. Rocket hit next to car. UPDATE: 5 wounded, 2 adults and 2 year old daughter were in a car and two passersby. 4:18 PM Sirens going off in S'dot Negev and Sha'ar HaNegev. 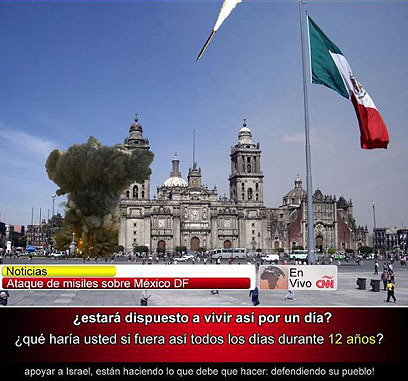 7 rockets fired. Most fall in open areas. 4:05 PM Channel 2 TV reports that a car near Ofakim was hit by a rocket, and there are 4 wounded; 2 moderately, 2 lightly. 3:56 PM Reports of rocket strike in Negev area. MDA forces responding. 3:53 PM When Seconds Matter: As correctly noted by a commenter below, there is a minor delay (usually 5-10 seconds) between the real time radio broadcast of IDF radio, and the internet version of the radio broadcast (due to the streaming technology). Therefore, if you are in Southern Israel and relying on IDF Radio for warnings of rocket strikes, you gain an extra 5-10 seconds by listening to the radio via 91.8 FM instead of via the internet. --Jameel. 3:48 PM Yichyeh Abiya, Gazan Islamic Jihad Commander...has left the planet. 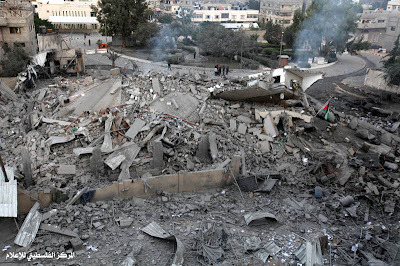 Another successful IDF surgical strike. 3:10 PM In a lightening fast operation, the IDF Homefront command fixed a number of sirens in Central Israel that were not working well over the past few days. 2:46 PM Video of Iron Dome taking out GRAD rockets less than an hour ago. 2:36 PM Air Raid Sirens in Ashdod area. 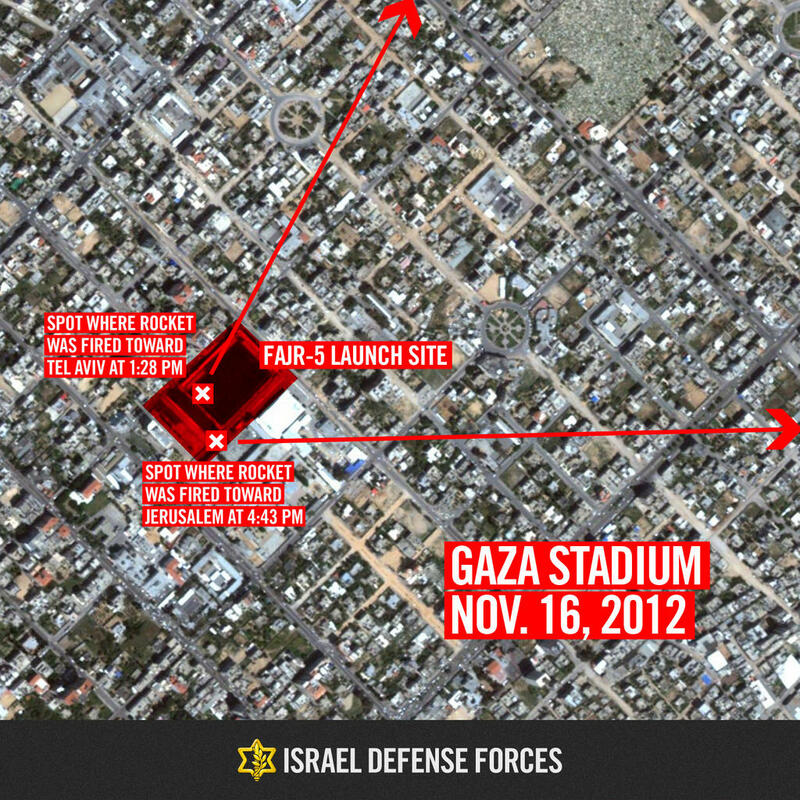 2:33 PM Reports of multiple IDF targeted killings of Hamas and Jihad terrorists. 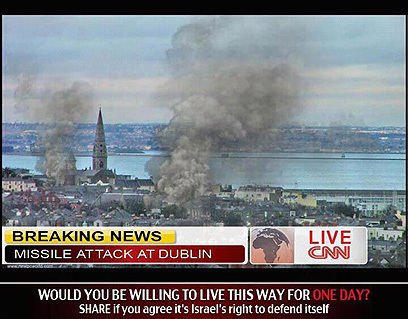 IDF: Keep up the good work! 2:21 PM Direct hit on a house in Ashkelon....no injuries. 2:15 PM Reports that the last barrage of rockets towards Ashdod and area was over 15 rockets in one shot. 2:10 PM Air Raid Sirens as another rocket barrage is headed for Ashkelon. 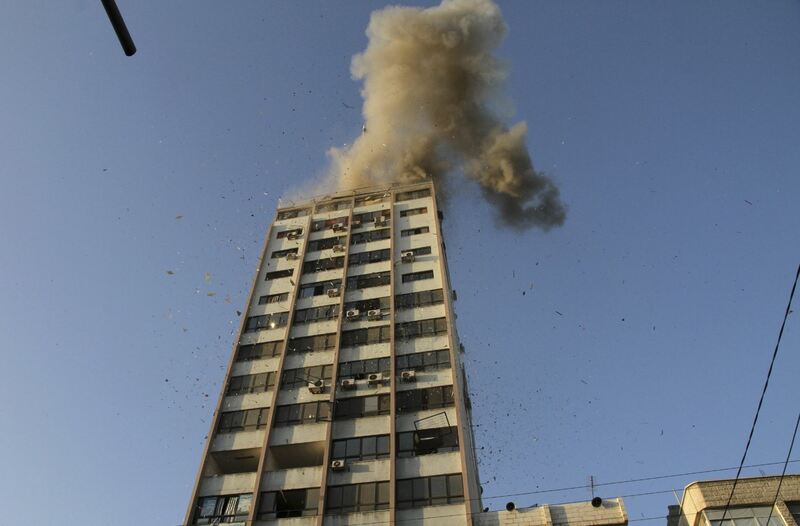 2:05 PM Another rocket hits Ashdod. Forces responding to 2 locations. 2:01 PM Another Air Raid Siren in Ashdod....GRAD rocket lands in Ashdod...forces responding. 1:57 PM Rocket barrage at Ashdod and Gan Yavneh. 1:44 PM Notice to Ashdod residents. IDF sappers are going to explode a fallen rocket soon. If you hear a boom, its a controlled explosion. 1:40 PM 3 rockets land in Beer Sheva. No Injuries. 1:26 PM Air Raid Sirens in Beer Sheva area. 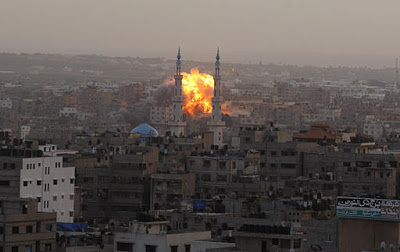 1:23 PM IDF dropping leaflets into Gaza: Important Message to Gaza Strip residents: Hamas is playing with fire and endangering your lives for naught. The IDF is proceeding to the next phase. For your own safety, we ask you to adhere to our instructions and distance yourselves from Hamas operatives and infrastructure. Sincerely, THE IDF. זהו לשון הכרוז: "הודעה חשובה לתושבי הרצועה: חמאס משחק באש ומסכן את חייכם לשווא", נפתחה ההודעה. "צבא ההגנה לישראל עובר לשלב הבא. למען ביטחונכם אתם נקראים לציית להנחיות ולהימנע מלהתקרב לתשתיות ולפעילים של חמאס. על החתום, צה"ל". 1:14 PM Reports of a direct in Sederot. Unconfirmed, as MDA and Homefront command responds. 1:05 PM Another barrage of missiles over the southern region, over the past 15 minutes. 12:26 PM IDFSPOX: Rocket fell in Ashkelon near a nursery school. 12:15 PM Siren in Ashdod. 12:08 PM Syria claims IDF killed 3 Syrian soldiers, after IDF shot back at Syrian army position that shot at them on Saturday night. 11:15 AM Two more rockets shot down over Ashdod. 11:13 AM Rocket fell a short time ago in Ashkelon causing minor damage to a building. More sirens sounding there now. 11:04 AM Sirens in Gan Yavne and Gadera. Also Nitzanim, Beni Aiyish, Chatzor, Ashdod, Iron Dome knocking down rockets. 11:01 AM Two wounded lightly after hit building courtyard in Ashkelon. Car damaged by rocket parts crashing down in Holon. 10:48 AM Warning sirens in Holon, Ashdod. Rocket lands in Ashdod, security forces on their way. 10:39 AM Air raid sirens in Rishon L'Tzion, Givatayim, Gan Raveh. 10:35 AM Sirens and Iron Dome working over Tel Aviv (Gush Dan region). 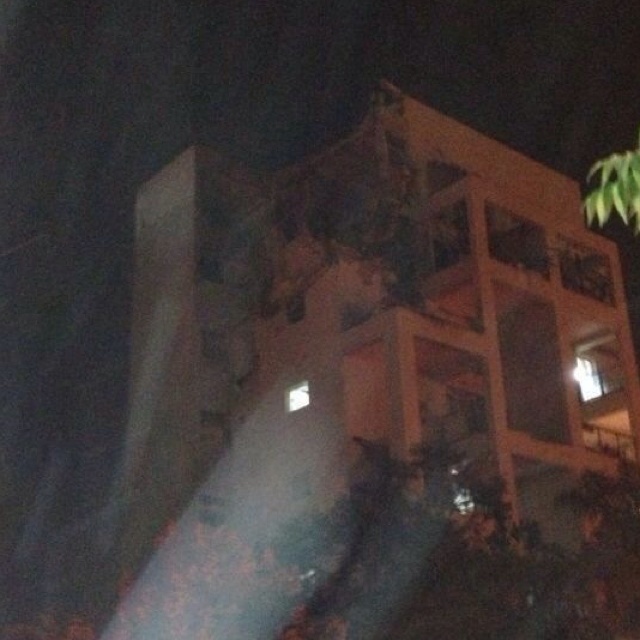 Two rockets shot down after Air Raid sirens sound. 10:29 AM Hamas: Using human shields is our policy. 10:26 AM Conflicting reports: High ranking Hamas member - Cease fire within a day or two. High ranking Israeli parliamentarian - We're not stopping anytime soon. 10:18 AM IDF has, in principle, authorized plans for entry of ground troops into Gaza. 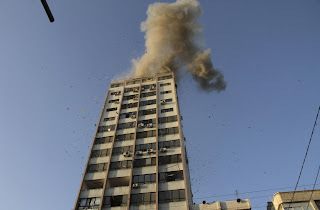 10:17 AM 3 rockets knocked down over Ashdod. 10:00 AM Most rockets from Northern Gaza. A number of countries have expressed interest in buying Iron Dome systems. 9:56 AM Mortar land inside community near Gaza. Shrapnel damage to building. No injuries. 9:55 AM Rocket fell in Be'er Tuvia region. Open area. No injuries. 9:51 AM ALL the rockets landed in open areas from the massive barrage. 9:45 AM 2 rockets taken out by Iron Dome over Ashdod. 9:25 AM Chief Rabbi Amar calls for public prayer session at the Kotel at 3:30PM on Sunday. 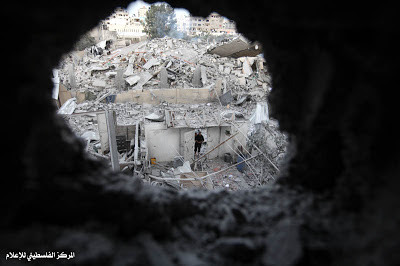 9:06 AM Rockets shot at Gaza. 3 Sirens in the past hour. One hit a car. Another hit a house. One lightly wounded. A few treated for shock. 8:16 AM 2 Air Raid Sirens over Ashkelon...along with what sounded like 2 Iron Dome explosions taking out the rockets. 8:10 AM There was an Air Raid siren in the South Ashkelon area at 7:45 AM. 8:08 AM Hizbolla Leader, Hassan Naasrallah: Egypt hasn't done enough to help Gaza. 8:05 AM Yawn and Good morning! 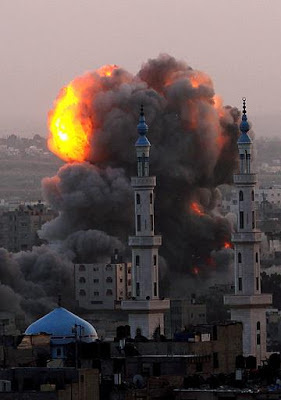 It was a relatively quiet night...the IDF spent all night pounding away at terrorist targets. Gazan Despair: Gazans are crying on the social networks -- "We are under attack by the Zionists...why isn't the Hamas retaliating and firing back?!" 1:21 AM For the past few hours, there have been maybe 3 Air Raid sirens going off in Israel due to rocket attacks. I'm off to bed now...see you all in the morning. A Good night, and a quiet night to the residents of Southern and Central Israel (here in the Shomron, it's VERY quiet). 1:08 AM Video of "A Night in Beer Sheva"
1:02 AM IDF Radio reports that for the past hour, the IDF has been pounding away at terror targets in Gaza. 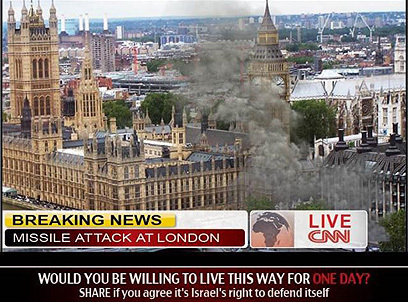 The past few hours have been quieter than usual...and only a few rockets fired at Israel. 12:52 AM This evening, IDF Homefront command installed additional sirens in Herziliya due to the escalation down south. 12:39 AM Shooting attack at IDF forces from Syria in the Golan Heights near Tel-Chazeka. No injuries to IDF forces, which returned fire. Erev Shabbat in Tekoa (like most places) is a contradiction of tension and relief. This time the arrival of Shabbat was accompanied by warning sirens for a missile attack. Surprise and unbelief “Missiles here in the Judean desert?” Before we can really grasp what was happening, there came the resounding boom of an explosion echoing in the hills reflecting the shock in our faces. The security van careens through the streets calling people to find shelter. Within minutes another siren warning. This time prayers are halted . “Quickly under the shul,” someone commands. Within the confusion we grab our children and grandchildren in our arms and climb down to the open area under the synagogue which affords more protection. We all move quickly in the darkening evening finding space on the floor . I hold one of my grandchildren talking to him softly . He thinks it is a great game. We begin to sing and wait for the next boom. It was at that moment that my son Pinny’s cell phone rings. As a member of a search and rescue team it is not uncommon for him to get calls even on Shabbat. But this call was different “Shabbat Shalom” . It is a familiar voice with a very distinct accent. “ Pinny, its Muhammad, what do I do? What’s happening? I heard your sirens”. There is real panic in his voice. At first this may not appear to be an abnormal situation, but Muhammad is an acquaintance/friend who happens to live in the Arab village of Tuqua which the army will only enter in large numbers. Pinny quietly explains that we were being rocketed from Gaza and the best thing he could do is to remain in doors and stay away from windows. Muhammad thanks Pinny profusely apologizes for calling on Shabbat “ Shabbat Shalom Pinny – B’Emet todah!”. So this Friday night , a “Palestinian Arab” called a “Jewish Settler” for help regarding a rocket attack from Gaza – Surreal! Likud Primaries: How to Vote?